Finian Road Image & Design • The Blog: Two awesome Finian Road specials -- ending TODAY! Two awesome Finian Road specials -- ending TODAY! 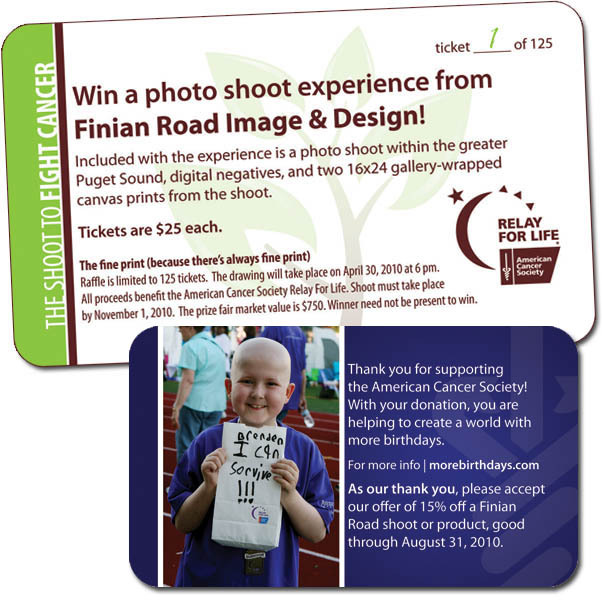 Did you buy a ticket for the 2010 Shoot to Fight Cancer? We raised $1825 for the American Cancer Society Relay For Life! Don't forget -- today is the LAST DAY to redeem the coupon on the back of the ticket for 15% off a Finian Road shoot or product! The shoot can be scheduled anytime -- but it needs to be booked today in order to save 15%. An awesome way to schedule your pre-Holiday shoot and score a gift in the meantime! 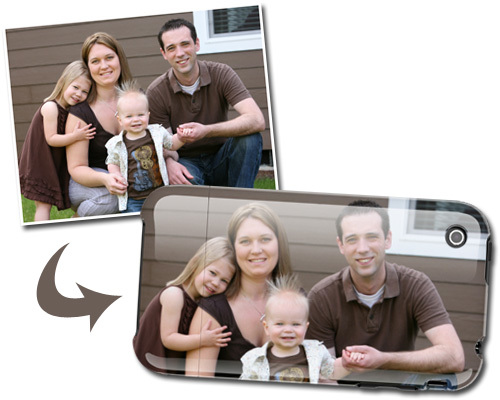 Did you know that Finian Road is now offering a custom iPhone case featuring your favorite image from your shoot? Made from premium polymers that are impact resistant, the image is etched deep into the case to highlight your fave shot as well as protect your phone! We can custom design a case for the iPhone 3G or the iPod Touch. Current pricing for the cases is $45 per custom case, shipping included. However, for all family shoots* booked by the end of August (to take place before November 30, 2010), you will receive a FREE iPhone case featuring the image of your choice! If you didn't buy a ticket for the raffle (make sure to do so next year! ), you can still book and receive the iPhone case with the shoot. If you DID buy a ticket for the raffle, you can book the shoot, receive the discount AND the custom iPhone case! A very special thank you for supporting the American Cancer Society! Get in touch with us TODAY (via phone 206-250-4575 or via email) to get your shoot booked!